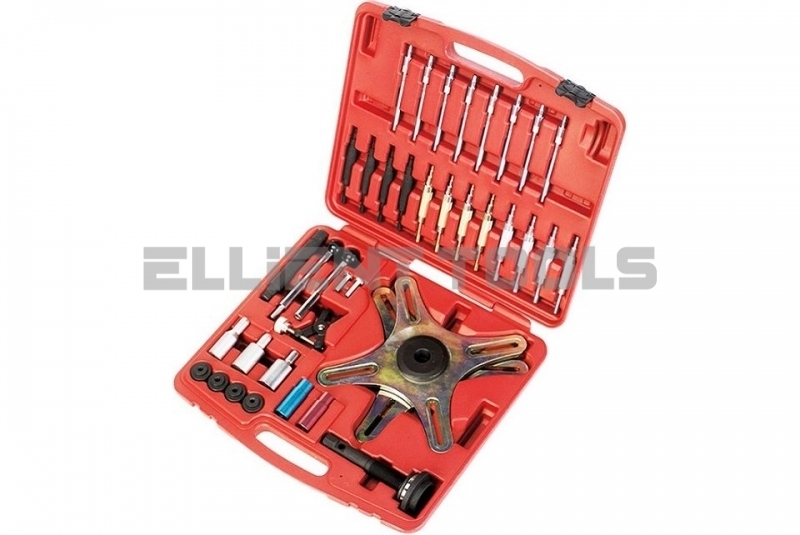 SAC Clutch Alignment Tool Kit | Ellient International Co., Ltd.
1. For assembling and fitting self adjusting clutches. 2. Used on: Audi, BMW, Fiat,Mercedes-Benz, Renault, Vauxhall/Opel and Volvo. 3. 48 pieces for ensuring the correct tool is available 4. Use with 3 and 4 fixing points and maintains adaptor ring in correct position.